The love of women for jewelry have not any boundary and they always prefer to enrich their jewelry box with some classy pieces. Even her personality looks incomplete in a gorgeous outfit in the absence of jewelry that's why they individually purchase each piece of jewelry with every dress. 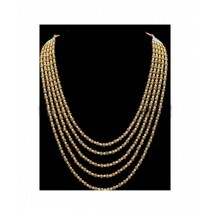 The manufacturer carefully designs pieces of jewelry in order to give t a beautiful look. 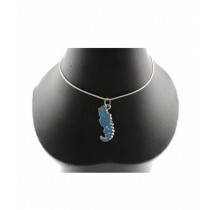 The pendant is one of the commonly use jewelry piece that has been designed by using different material and styles. Women don't wear it for fashion only but also carry it to secure herself from evil power as well and Women pendants price in Pakistan is different for each of them. Pendants have a huge variety in a market but some common variety is amulet, talisman, and locket which can be used as identity, protection, reward, and fashion. Talisman is one of the worthy stone which cuts in the shape of pendant through which women cover their neck with the gorgeous piece while saving them from spiritual power. Certain believers consider that it contains supernatural energy that secures the wearer from wicked power. Amulet comes in multiple varieties and mainly worn by the believers of magical powers. Most of the peoples consider it as a protector from evil power and precious stone. Women pendants price in Pakistan is relatively high for amulet but it is right with respect to its value. It considers as a lucky charm and women carry it at the neck to stay in touch with it. 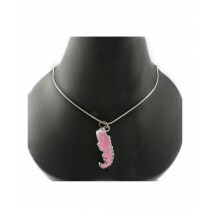 The small beautiful pendant contains a tiny lucky thing inside it in the form of a picture or a hair. A great number of peoples consider their family, friend or lover as a lucky charm that's why they wear those necklaces which have the picture of that particular person. A locket is not too much expensive but the material used to design locket bring change in Women pendants price in Pakistan. The personality conscious women love to see their name at a high level and her love with a name can be observed by her pendant. The pendant of full name and initials are quite famous and approximately all women have at least one Self-affirmation pendant in their jewelry box. These pendant design in multiple ways through which women can choose their favorite design as well and that variety satisfy them with Women pendants price in Pakistan. Women also carry pendant to support her beautiful style statement that's why manufacturer designs it in several styles that fits identical dressing. Broken heart, crystal, and antique are a common design of pendant in Pakistan and Women pendants price in Pakistan are different for each design. We understand the craziness of women for jewelry that's why to bring a classy collection of women jewelry that has been designed by using fine material. You can also find a classy pool of Women Pendant here and you will definitely catch your favorite one in the entire category. Basket that pendant to purchase it from your place and get ready to receive it at your location.